Superior care is the cornerstone at KHMC, realized through the provision of ultimate comfort and advanced medical precision throughout our patient’s stay amongst us. It is our commitment to exert steadfast efforts specifically directed towards ensuring distinguished medical care and personalized attention tailored towards each patient’s needs. Our hospital is highly equipped and internationally qualified to provide comprehensive healthcare services and specialized medical treatment, accommodated in our expanding state-of-the-art modernized Center and safeguarded by the expert medical team and staff. Since the establishment of Arab Medical Center “AMC” in 1994, the Arab Medical Center has positioned itself among the top medical destinations and one of the leading referral hospitals for local, regional, and international patients. AMC differentiates it’s self by a modern state of the art medical complex located in the heart of the capital, Amman. AMC’s patients are accommodated by highly qualified and experienced physicians and staff. We pride ourselves with upholding the patient’s health as our first priority and that patient’s excellent experience presides over every medical decision and procedure. The center has achieved a distinguished level of medical services and renowned upscale hospitality services. The convenient location of the hospital at the Fifth Circle in Jabal Amman, makes for easy accessibility to both local and expatriate patients. AMC is in close proximity to many of the iconic places in Amman such as the Prime Ministry; various embassies; Royal Jordanian Airline Headquarters; the Abdali project; and the top international hotels including the Four Seasons, Sheraton, Fairmont, St. Regis, and the Bristol. Consisting of 150 beds, the Arab Medical Center provides a full range of medical and surgical services covering all specialties. The Emergency Department has dedicated rooms for pediatric cases and those with communicable diseases. The department treats an average of 200 patients per day. Physicians are on call covering all sub-specialties 24/7. Major surgical services that are performed at AMC include: neurosurgery; orthopedic surgery; endoscopy; ophthalmology; cardiovascular; and general surgery. The Surgical Department consists of 8 theaters and is supported by 12 Intensive Care Unit beds and 8 Coronary Care Unit beds. There are two fully equipped cardiac catheterization labs as part of the facility. The Endoscopy Unit has three rooms to fulfill the needs of patients undergoing diagnostic or therapeutic procedures. Physicians refer their patients to the Arab Medical Center to take advantage of the ultramodern facilities and advanced diagnostic and interventional medical imaging equipment available in the Radiology and Imaging Department. There are many clinics affiliated within the surrounding geographical area offering numerous medical specialties and services. Some of the clinics affiliated with AMC include: cardiovascular; brain and nerve disorders; cancer and blood disorders; bone and joint diseases; obesity and diabetes; and eye diseases. All departments and units work diligently to offer compassionate and quality care for every patient, every time, delivering sustainable services and improving quality of care and improved patient health. Arab Medical Center is governed by seven Board of Directors who are highly committed and with various educational backgrounds and experiences. Glosanté Healthcare LLC is an international company that has a multinational integrated network of medical healthcare facilities that works towards improving health and provides protection against global disease threats to various individuals and groups. 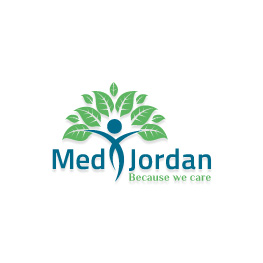 Glosanté Jordan is a specialized medical healthcare facility provides its services in a comprehensive outpatient setup. Nevertheless, the center includes a state-of-art fully automated laboratory and diagnostic imaging units that are designed and equipped with the latest safety measurements Glosanté Jordan provides various healthcare programs like general healthcare check-ups, Women wellness programs, men wellness programs, children health packages, corporate wellness programs, and health management services. They also provide national and international vaccination programs. Istishari Hospital is a leading hospital and a trendsetter in the Jordanian healthcare sector due to its focus and quality and excellence. Employees, patients, and families will experience the uniqueness of our hospital as soon as they enter through the door. a leader in innovation, comprehensive, and state of the art medical care in Jordan. We are committed to improving the health of our communities by delivering the best healthcare possible in a compassionate environment through education, research, and a dedication to our mission of patient based care. Al Istishari Hospital vision is to impact medical care through a culture that encompasses the whole patient experience guided by a pledge of superior quality, ongoing growth, and continuous self improvement to make a difference in patient care. Sorry, this entry is only available in Arabic. For the sake of viewer convenience, the content is shown below in the alternative language. You may click the link to switch the active language.منذ أن قامت جلالة الملكة رانيا العبد الله المعظمة بافتتاح المركز ووحدة تصحيح عيوب الإبصار بالليزك ومركزنا يعمل على أن يوفر دائما خدمة طبية متميزة تليق بهذه الثقة الملكية السامية. يقع مركزنا في جبل عمان مجاورا لمستشفى فرح في وسط ضاحية متميزة بتقديم جميع الخدمات الطبية لشريحة كبيرة من سكان الأردن والدول العربية. ويعتبر المركز أول مركز يوفر وحدة متخصصة لعلاج عيوب الإبصار بالليزر والليزك خارج المستشفيات في الأردن، كما يعتبر من أوائل المراكز في منطقة الشرق الأوسط التي تهتم بتوفير التخصصات الفرعية المختلفة في طب وجراحة العيون حيث يوفر للمرضى عيادات متخصصة في أمراض وجراحة القرنية وأخرى متخصصة في أمراض الشبكية والسائل الزجاجي. كما توجد عيادات متخصصة في عيون الأطفال والحول وأخرى متخصصة في جراحة العين التجميلية. 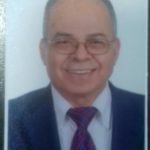 ان التطور الهائل الذي حدث في التقنيات العلاجية خلال الخمس سنوات الماضية جعلنا حريصين على أن نوفر في مركزنا أحدث الوسائل التشخيصية والعلاجية، لذا يوجد في المركز وحدات تشخيصية متقدمة في مجال تصوير وتشخيص أمراض العيون المختلفة مثل وحدة التصوير الطوبوغرافي للقرنية ووحدة تصوير العين بالأمواج فوق الصوتية ووحدة فحص الساحة البصرية بالكومبيوتر ووحدة تصوير العين المجهري بالفيديو ووحدة قياس عيوب الإبصار بالكومبيوتر. كما يحتوي المركز على وحدة لنشر التوعية الصحية في مجال علاج أمراض العيون والوقاية منها تشمل قاعة صغيرة للمحاضرات تحتوي على نشرات وأشرطة فيديو تثقيفية متاحة لمراجعي المركز من المرضى المهتمين بالحصول على معلومات عن حالتهم، كما نوفر للمرضى موقعا تثقيفيا خاصا بالمركز على شبكة الإنترنت باللغتين العربية والإنكليزية &lt;a href=\"http://www.sharifeyecenter.com\"&gt;www.sharifeyecenter.com&lt;/a&gt; ويستطيع المريض الذي يزور هذا الموقع أن يجد إجابة على جميع استفساراته عن أمراض العيون وعلاجها، كما يستطيع أن يرسل أية أسئلة عن حالته الخاصة ويتلقى إجابة كاملة ومجانية من الاستشاريين العاملين في المركز. وقد كان هذا الموقع هو الأول من نوعه في الأردن، وقد زادنا فخرا أن عدد زوار موقعنا على الشبكة قد زاد عن عشرين ألف زائرٍ مختلف دول العالم.